Blitzen Trapper are not currently on tour, but as a bonus for their trip East to play Letterman on Thursday night, the band added an intimate show at Maxwell’s on Friday. 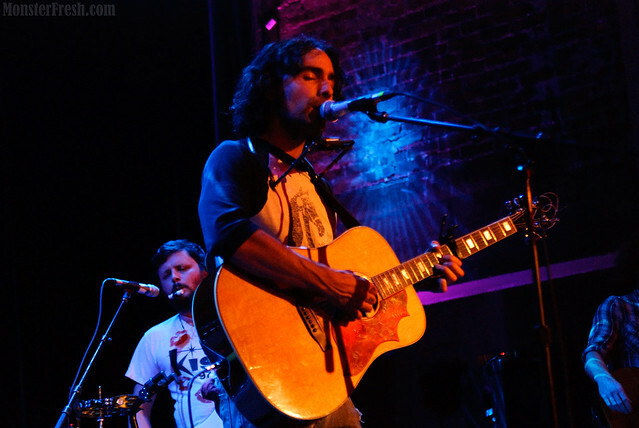 After spending much of the last three months on tour in support of their sixth album, the September release American Goldwing (Sub Pop), this one-off show gave Blitzen Trapper the opportunity to stretch out and play some rare tracks and a lengthy set. Indeed, the set lasted well over ninety minutes and contained twenty-five songs, including “Silver Moon” and “Not Your Lover”, songs absent from recent setlists. On Letterman on Thursday, the band played “Might Find it Cheap”, so that Friday’s version was tight and energetic — we’re streaming it below. The intimate nature of the venue also created a nice interaction between the band and the diehards who were able to secure tickets to the sold-out show, and that led to some hilarious banter. Blitzen Trapper is a band that seems to really enjoy playing music and on Friday night that was more than evident. I recorded this set with the standard setup for this venue, with the Neumanns mounted inside the front right corner of the soundboard booth and mixed with a board feed. Blitzen Trapper’s outstanding tour FOH Martin did a superb job on the mix and this recording is one of the best we’ve ever captured at Maxwell’s. Enjoy! 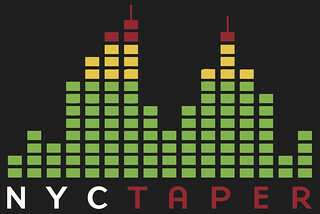 If you download this recording from NYCTaper, we expect that you will PLEASE SUPPORT Blitzen Trapper, visit their website, and purchase American Goldwing from the Store at their site [HERE]. Wonderful, wonderful show! The recording sounds beautiful , thank you! Fantastic sound, fantastic show! Thank you very much for sending me the FLAC-link. I’m totally thrilled ! ! ! Tip of the hat to you good sir…easily one of the best recordings.